Pioneers in the industry, we offer tamarind powder from India. We offer to our valuable customers a wide range of Tamarind Powder. 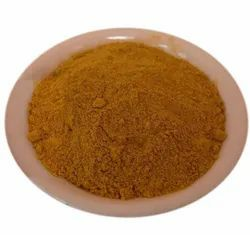 The offered powder is processed using optimum grade tamarind and advanced processing and grinding machines under the visionary guidance of trained food processing experts. Further, it is checked on different quality parameters before being dealt to our clients assuring its freshness and long shelf life. It is added as a spice in various food items. it is also used for tamarind chutney, tamarind spicers, tamarind drink. Our company engaged in processing and exporting of tamaring powder to different countries.